Item Number: 228-105 19764 Actual Weight: 2 lbs. Use when you need to cover dental chairs. 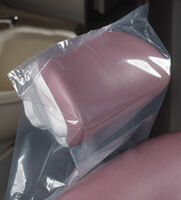 Convenient covers eliminate clean-up time between patients and extend the life of your chair.